Bottesford, corner of High Street and Belvoir Lane, c.1910, showing the old shop on the corner, a man standing in the road, and the old finger sign-post. 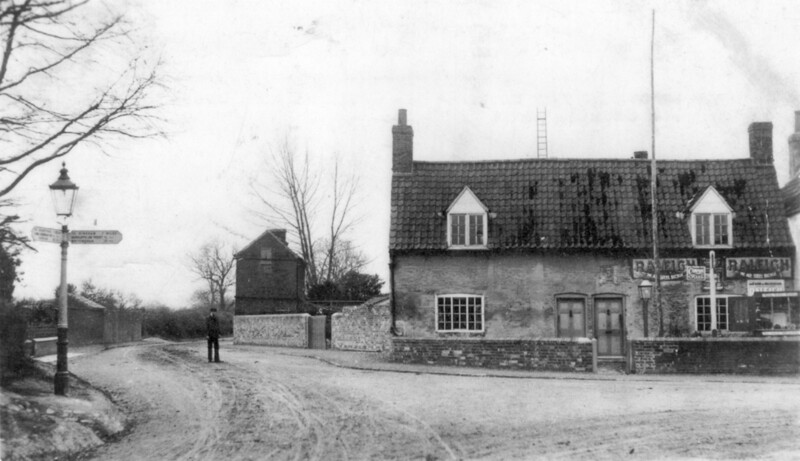 Digital scans of old photographs of Bottesford, including pictures of cottages on the High Street associated with the Norris family, and pictures of Bottesford village school and of Queen Street. The High St scenes include houses demolished several years ago (probably in the 1960s) and the old shop at the corner of High St and Belvoir Rd.